With an opening that is a huge nod to Dracula’s arrival in Whitby from Bram Stoker’s seminal vampire novel, The Strain is the first novel of a vampire trilogy by Guillermo del Toro and Chuck Hogan. Concentrating on a small groups attempts to stop the spread of the infection of vampires that are presented as parasitic creatures. The book is very cinematic in its structure giving rise to speculation that del Toro intends to adapt it into a movie. I for one would be very happy to see this happen. Written in the style of a pulp detective novel Already Dead is the first of the Joe Pitt Casebook series of novels. The Manhattan underworld is run by vampire clans, independent of the clans Joe Pitt is a Vampire and a detective, he must find a missing rich girl and get to the bottom of a zombie epidemic that is sweeping through the city whilst facing the age old vampire problem, the need for blood. At a risk of turning him into a specialist vampire movie director I would go for David Slade in the directors chair and James McAvoy to star as Pitt. Making her first appearance in Guilty Pleasures in 1993 Anita Blake has appeared in 20 novels to date. A necromancer who works as a professional re-animating of the dead, a licensed vampire hunter/executioner and a consultant for the Regional Preternatural Investigation Team (RPIT, pronounced Rip-it) her life revolves around werewolves, vampires, and other supernatural creatures. To add to this she becomes involved in a love triangle with a werewolf and the cities “master vampire”. Casting could go a few ways on this one; a character with serious emotional issues, frequently flippant and sarcastic and always stubborn Lena Headey or Rhona Mitra would be perfect. Sticking closer to the character in the book (Anita’s mother was Mexican) Michelle Rodriguez could also work. The Night Huntress Series by Jeaniene Frost consists of five novels to date (#6 is due out later this year). Catherine “Cat” Crawfield is half human, half vampire, she was conceived when her mother was raped by a vampire. Having the idea that all vampires are evil drummed into her by her over protective mother, Cat is a on a single minded quest to kill every vampire she comes across. Then she meets Bones who forces her to question everything she thinks she knows. Its all a little too Buffy, but far worse things have made it onto film. There is something about the mysterious beautiful new tenant in Robert Stark’s apartment block but is her interest in him purely romantic or something more sinister? A modern day take of the gothic horror/romance that is perfectly constructed with a great premise and a devastating payoff. Mark Burnell was already flirted with Hollywood, it was announced back in 2005 that he had been hired to write a screenplay based on his 1999 novel The Rhythm Section, then in 2009 the people behind the James Bond movies purchased the rights to his as yet unpublished novel Remote Control; neither project has seen the light of day yet. I watched this movie a lot when I was a kid; like the “Trans Am” that it features the movie went through a period in the 90’s of being a bit of a joke. 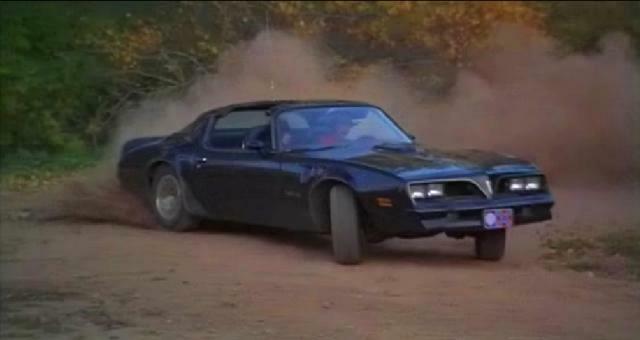 As the 70’s have become fashionable both the movie and the Trans Am have become cool again. Whatever your opinion on the matter there is no denying the movie is great fun and a reference point for car movies today. A must see for any fan of car movies. Having read the James Bond novels I know that Bond drives a Bentley but when someone mentions Bond and cars I always think of the DB5. 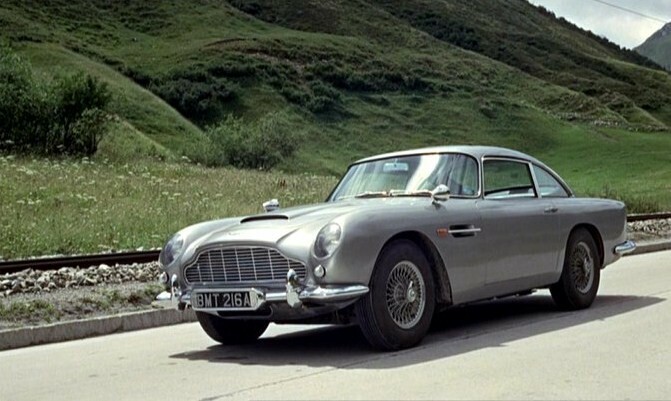 After its appearance in Goldfinder it became Sean Connery’s regular car and was also driven by Pierce Brosnan in GoldenEye and Daniel Craig in Casino Royale. This car is Bond! The big set piece at the centre of Ronin involves as car chase where the protagonists driving a 1998 Audi S8 and a 1976 Mercedes-Benz 450 SEL ambushes a convoy to steal the movies MacGuffin. There is also a great chase through the streets of Paris involving a BMW M5 and a more mundane Peugeot. The most notable thing about the chases in the movie is the sense of authenticity, this was achieved by using real cars with stunt drives and not relying on special effects. This is further enhanced by the minimal use of music in the scenes, instead using authentic engine noises. Appearing in the first two Mad Max movies the car is a 1973 Ford Falcon Coupe XB GT V8. As the model was exclusively sold in Australia it is the perfect choice for the film and is essential to the film even though it is only really used in the second half of the first film and the first half of the second film. Unlike big budget films for the first movie they only made one black interceptor that was used for all filming including stunts. This car was the real deal (except the supercharger was a fake! ), when it came time to make the second film they took the same car and modified it further. 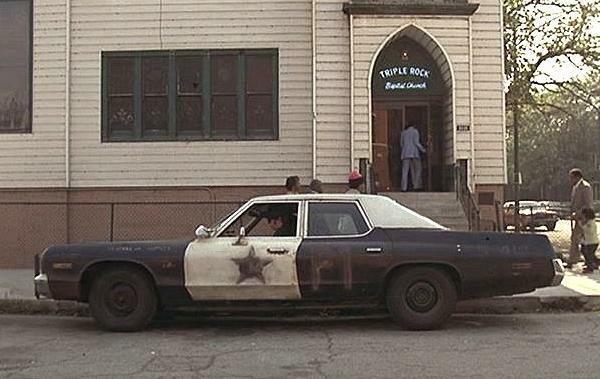 The little ’55 Chevy is not only the star of this film but was later used in American Graffiti. The car is designed for racing. It is stripped out and basic. The bonnet (sorry hood it is after all and American readers) is fibreglass as are the doors and boot (trunk) lid. The side windows are Plexiglas that slides back to front instead of rolling up and down. The car is painted primer grey this is in stark contrast to the 1970 Pontiac GTO whose driver describes his car with the words “Performance and image, that’s what it’s all about” the Chevy doesn’t care about image, it is all about performance. Its driver says about the GTO “there’s lots o’ cars on the road like yours, they all get to lookin’ the same. They perform about the same, too….” Take your pick, they are both seriously cool cars.